We are an outstanding Nursery that is part of the Herne C.E Infant School family. Our stimulating and inspiring purpose built Nursery can be found within the school’s grounds, which means not only do we have our own environment to learn and explore, but we can access all the facilities within the school. Such areas include the HIVE (designated woodland area), the Wildlife Garden, computer suite, music room, school hall and library. Close links with the school mean we spend time with older siblings and other buddies, particularly in Year R for stories, singing and whole school events. 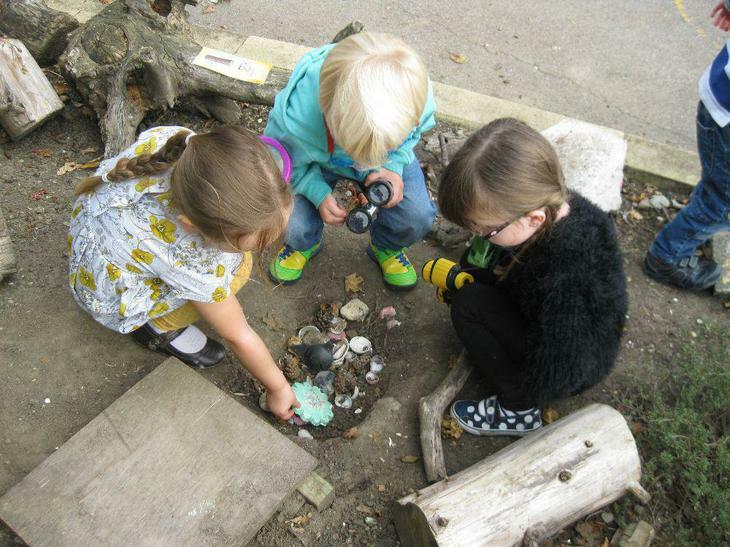 Our Nursery offers 15 hours funded Pre-school provision for children over the age of three. Places are offered to children, according to set criteria, for them to attend either five mornings or five afternoon sessions per week, or two and a half day sessions, dependent upon places available. Access to our Infant school is not guaranteed from the Nursery although assessment of children entering school shows evidence that children benefit by attending our Nursery. They are able to adapt to the school environment and daily routines. If you are interested in a place for your child, please contact the school office. We would love to show you around Windmill Nursery and answer any questions you may have. "My Nursery is a happy place to be"
"My child has really blossomed due to the nurturing and supportive care in the Nursery"
"A fabulous nursery that treats each child as an individual"